Amid controversy and criticism, the Bitcoin marches on. Though the digital currency is gaining ground around the world as a legitimate means of exchange, it’s being given an especially warm reception in the emerging economies of Asia. And the upcoming Bitcoinvention in Manila demonstrates how far the Bitcoin has come as a viable currency in those Asian markets – and how those markets affect the global economic picture. The goal of Bitcoinvention organizers is to “open the Asian door to Bitcoin merchants.” And that door continues to open wider, with a variety of Bitcoin exchanges targeting Asian currencies and trading, including Asian Nexgen, Bitcoin Korea, Bahtcoin and Korbit as well as global Bitcoin marketplaces like Bitmit. Bitcoin experts have long observed that while large numbers of Bitcoin users and miners are in the US and Europe, the digital coins have even greater appeal in areas of the world where traditional currencies are weak and governments tend to be unstable. That’s the case in a number of Asian countries, whose currencies usually lead the list of the world’s weakest currencies, with Vietnam’s dong at number one. On the flip side, though, Asian nations dominate the Motley Fool’s new list of the worlds five strongest economies, with China, South Korea and Japan joining the US and Germany to round out the group. That means that for a number of reasons, digital currencies could have a bright future in the less regulated markets of Asia. 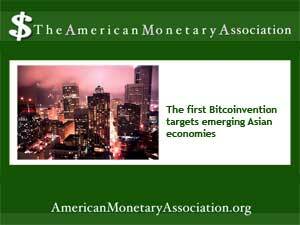 But not all Asian countries are completely behind the Bitcoin. In spite of greater efforts to shift to a consumer based economy and encourage foreign trade and investment, the government of China has cracked down on Bitcoin trading by its state banks, with warnings and penalties that sent the Det enda kapitel som kanns tunt och inte tillrackligt genomarbetat ar ” pa internet”. price of the digital coins plummeting against the Yuan. But Bitcoin trading still flourishes on private Chinese exchanges such as San Francisco based BitXF and BTC China. The push to establish a major Bitcoin presence in Asia comes as the region’s weak currencies are sparking a renewed interest in Asian exports. And Asian investment in foreign real estate, particularly in the US, continues to command a large chunk of the overall market, with China leading the way as its economy continues to expand. Bitcoins are nudging their way into the world of real estate, too, as coins worth next to nothing in those early days are now traded for far more. And as the Bitcoin gains traction in Asia, some market watchers speculate that its use for international investing could expand too. Is there A Bitcoin Backlash?